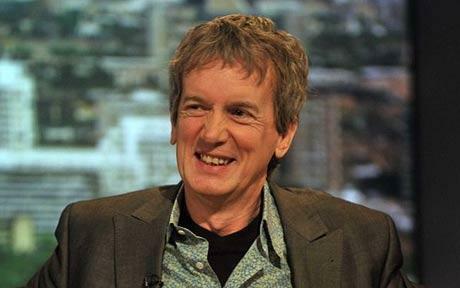 In a recent interview with Jonathan Ross, Frank Skinner opened up about his past alcohol problems. He described his drinking as out of control, but he does not like to use the word ‘alcoholic’. Frank was able to quit alcohol completely in 1986, and he says he was able to do this without requiring much help from the recovery community. The way Frank describes his drinking history, it certainly does sound as if he had a serious problem. He talked about keeping a bottle of sherry or Pernod close to his bed so he could have a drink as soon as he woke up. He also ended up sleeping on the streets on a few occasions because he was too drunk to get home. Probably the scariest thing to happen to him was that he temporarily lost his eyesight due to drinking too much – this lasted for about an hour. Frank started to see how drinking was having a negative impact on his life, but he did not feel bad enough to ask for help. He says that he had the flu for about a week and that, during that time, he was unable to drink at all. When he recovered from his illness, he just decided to stop drinking altogether. Staying sober does not seem to have been much of a problem for him, and he has managed for 28 years. Was Frank Skinner an Alcoholic? Frank Skinner does not refer to himself as an ex-alcoholic, and it is not possible even for an addiction expert to diagnose somebody based on a few comments. There is little doubt that Frank had an alcohol problem, but he may have quit before he crossed the line into alcoholism. This would have meant that he was suffering negative effects due to the behaviour but had not yet developed a physical addiction – this would have been the case if he experienced withdrawal symptoms. Of course, he may have had withdrawal symptoms when he gave up but did not notice them because of his flu symptoms. Even if Frank was not an alcoholic, he was well on his way to developing a serious addiction. It is fantastic that he has managed to stay sober because he would be taking a huge risk by drinking again. It is obvious that the sober life suits him, and he has been incredibly successful since giving up the booze – perhaps this might not have happened if he were still drinking. The fact that Frank Skinner was able to give up alcohol without any help may be seen as encouragement for others who would like to do the same. The reality is that only a small minority of serious alcoholics are able to remain sober long-term without some type of help and support. It is not just giving up the alcohol that is the problem but also building a life without alcohol or drugs. There will usually be reasons why a person falls into addiction, and these reasons are likely to still be there when they give up – the person often needs help to deal with these underlying forces or they will relapse or be pulled towards new maladaptive behaviours. If individuals are struggling to break free of addiction, it is a sign that they need help. If people can just give up alcohol without any help then they are unlikely to be struggling. Another way to look at alcoholism is drinking even though you do not want to be drinking or you know you should not be drinking. Getting help for addiction gives you the best chance of recovery, so it is important to consider this option.